Armed police have surrounded a bank owned by Russian tycoon Aleksandr Lebedev, with the National Reserve Corporation a key asset of the owner of the London Evening Standard and Independent newspapers. Police spokesman Viktor Biryukov told Interfax "Law enforcement officials, including investigators of the Moscow police's Main Investigative Department,are inside the building now," and adding "The current investigative actions are part of a probe into an earlier opened criminal case." 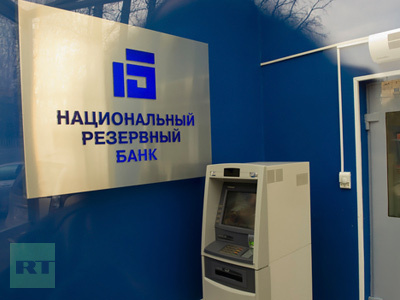 Lebedev's spokesman Artyom Artyomov told The Associated Press 50 police swarmed into the National Reserve Bank, jumping turnstiles to enter the offices and search for certain documents.